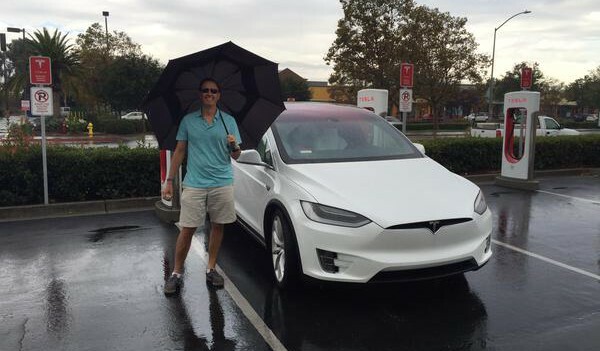 Tesla board member Steve Jurvetson was one of the first person to take delivery of the new Model X last Tuesday. He is already putting the car to the test with a road-trip accompanied by his VC colleague at DFJ, Bubba Murarka. Murarka posted a short video of the Model X in the rain, which is an interesting experience with the car’s panoramic windshield.